Baltimore’s trusted plumbing partner for over 30 years. Committed to providing you the flexibility and responsive communication you deserve. 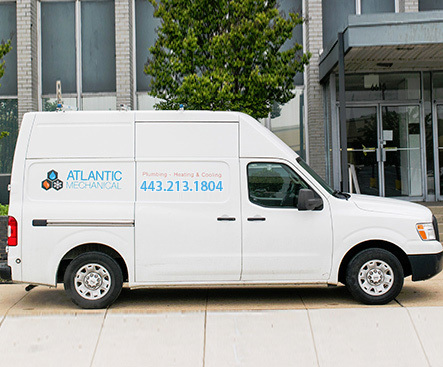 Atlantic Mechanical has been proudly serving its clients in the greater Baltimore area for over 30 years. We specialize in commercial and residential plumbing for builders, contractors, homeowners and multi-family property managers. We are committed to providing you the flexibility and responsive communication you deserve so that your job gets done right. Our track record of repeat clients speaks for itself. It is always a wonderful experience working with Atlantic, they are extremely responsive, and get the work done fast. Mike is very conscientious always working hard to ensure things are being done properly, and the work performed always exceeds expectations. Signature Properties is very pleased with the service we have received from Atlantic Mechanical. They came in and assessed all of our equipment and gave us recommendations for repairs/replacements. They are available when we need them and respond quickly to all calls with courteous and knowledgeable technicians. It’s been a pleasure working with both Hindy on the estimating side and Mike Steele on the install side. They kept their schedule. Didn’t make a mess. Worked well with us in a safe and efficient manner. Would be happy to recommend or refer.